“Greek-Turkish (GSRT-TUBITAK) Joint R+T Collaboration Program” (GSRT, Ministry of Development, GREECE), “Structure-Function Relationship of a new RING finger E3 ubiquitin ligase, a dominant regulator of TGF-b signaling pathway and TGF-b-dependent tumor suppression” 2010-2012, Principal Investigator. «ΗΡΑΚΛΕΙΤΟΣ ΙΙ: Reinforcing the Human Research Potential through Graduate Research » (Greek Ministry of Education, GREECE), “Expression, Characterization and Structural Investigation through Nuclear Magnetic Resonance (NMR) of the Bacillus anthracis Anthrax Lethal Factor Zn-protease Catalytic Site”, 2011-2014. Principal Investigator. FP7-HEALTH-2007 “Neurotrasmitter Cys-loop receptors: structure, function and disease (NeuroCypress)”, www.neurocypres.eu, 2008-2012. Partner #15. 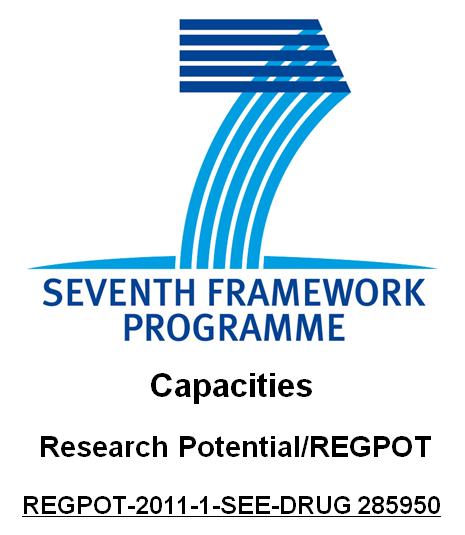 FP7-INFRA-2008 “Enhancing Access and Services To East European users towards an efficient and coordinated pan-European pool of NMR capacities to enable global collaborative research and boost technological advancements”,, www.eastnmr.eu, 2009-2013. Partner #12.